I know, I know…you’ve seen this photograph before. It’s right up there on the top of the website, and I have used it on my business cards and other materials. 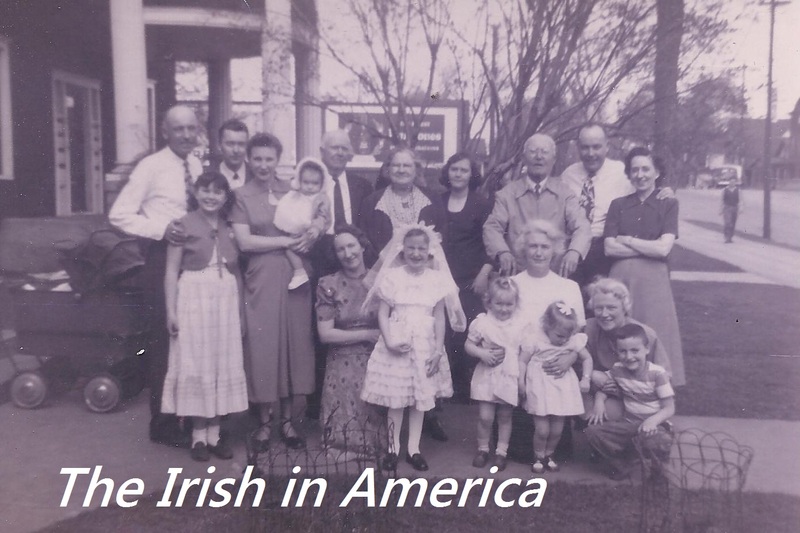 I think it is a great photo – maybe even the quintessential Irish-America family photograph. Three generations of McCormacks gathered (with in-laws) to celebrate the 1951 First Communion of my Aunt Maggie – Margaret Mary McCormack. 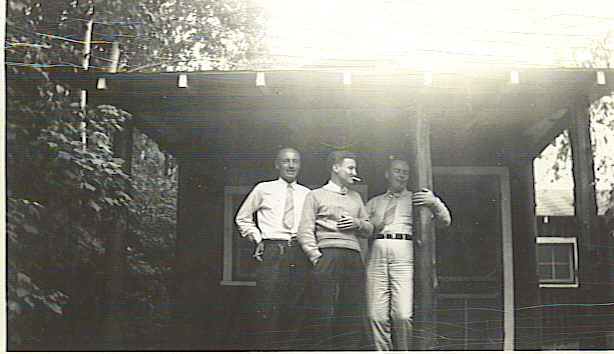 The “old guys” are in the back row – my great-grandfather Andy McCormack in the classic trench coat and his brother Mike, standing a couple of people over on Andy’s right. 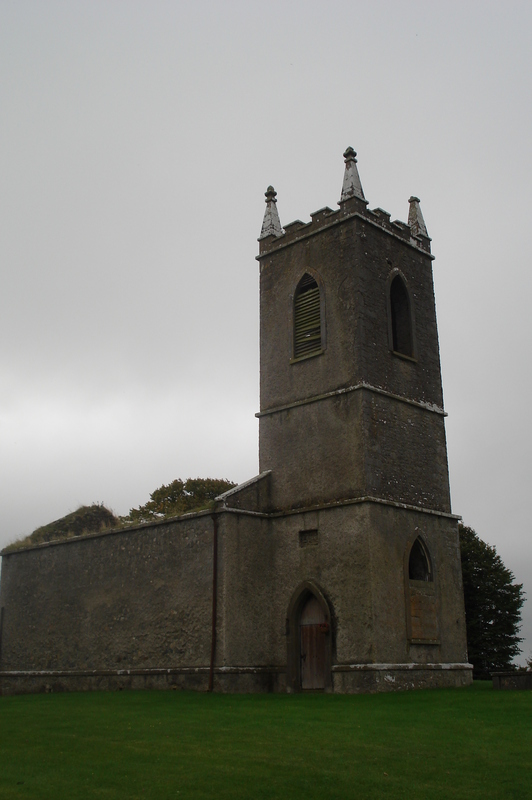 The brothers immigrated to the United States from Ballyedmond, County Laois in the latter part of the 1800s. Can you spot the native Irish speaker in the photo? That would be Mike’s wife, standing behind Maggie. Katie Hannon hailed from Gorumna Island, Connemara, Galway. Mike and Andy married sisters, but Andy’s wife, Mary, passed away years before this photo was taken. My Aunt Eeny is with her Auntie Nellie (seated in front of Andy), while my dad is kneeling in the corner, looking exactly like I always imagined he would in the 1950s, in jeans and a striped t-shirt. My Grandma Agnes sits next to Maggie, pregnant with my Aunt Mary. 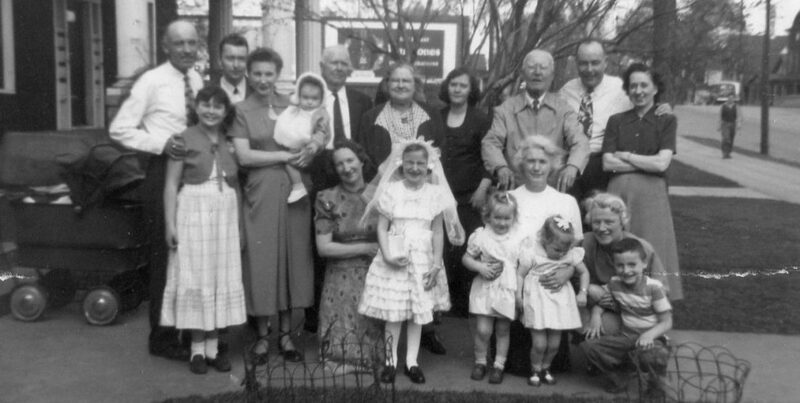 My Grandpa Bill is on the far left, with his hand on his niece Martha’s shoulder. Aunts, uncles, and cousins round out the group. It is incredible to see these people together, looking so happy and healthy. I wouldn’t be a bit surprised if some of the people in this photo surface later this month as favorites all on their own. Categories: Irish American | Tags: 1951, Ballyedmond, Connemara, family, First Communion, Laois, McCormacks, photograph | Permalink. I am extremely excited for my trip to Ireland next month. We have quite a bit on the agenda, but will be wrapping the trip up with a week in the heart of Ireland, County Laois. 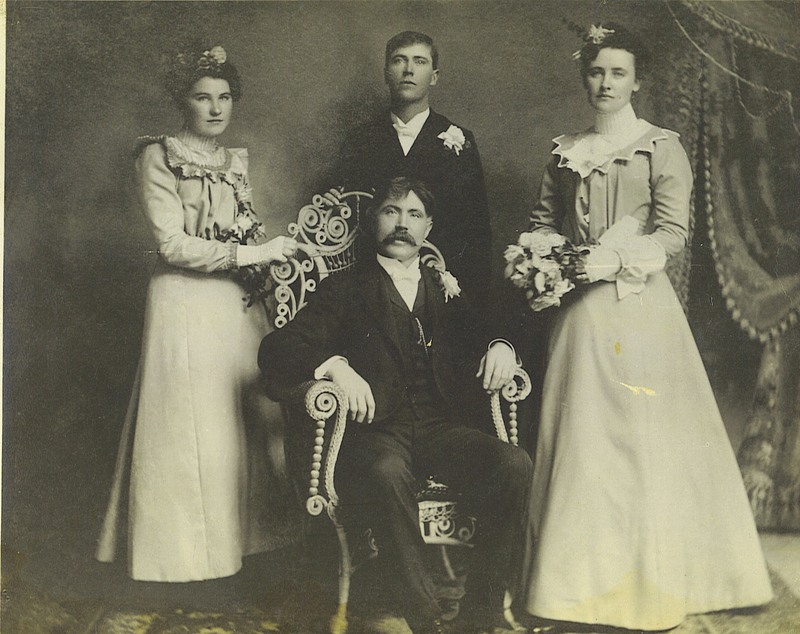 My great-grandfather Andrew McCormack came from Ballyedmond, County Laois in the late 1880s and settled in Minnesota. My father has done extensive research on his McCormack lineage over the past fifteen years. I had no hand in this research, but I have enjoyed all the fruits of my father’s labors. Click here and here to read about the fun we have had connecting with our McCormack relations. While in Laois I am planning a visit to the County Archives and Local History Department in Portlaoise. It may have taken a while, but I have learned that a good first step when looking into the history of your Irish ancestors is to go to the County Council website. The council website for any given county in Ireland will have all the information necessary to live in that county – from where you should dump your trash to the operation hours of the local branch of the library. But they are a great resource for visitors as well. Often these websites provide extensive history and heritage information, including details on genealogy, archives, and special collections. Like any good researcher, I plan to do my homework before showing up on the archive’s doorstep in September. It looks like they have quite a bit to offer. Maybe I will even find some emigrant letters in some of the personal collections listed on the Laois Archives page. 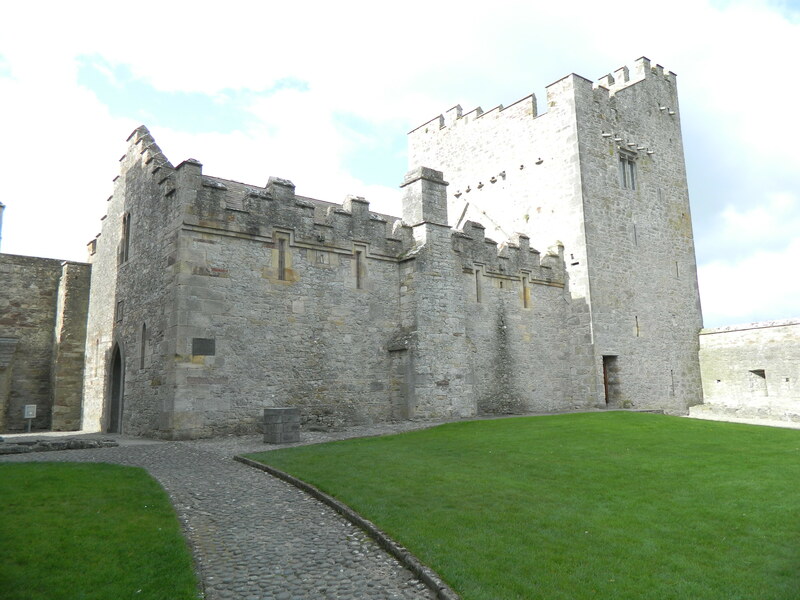 The Local History Online link brings you to the Ask About Ireland website. This is a very cool site, a must-visit for anyone interested in what the libraries, museums, and archives of Ireland have to offer. Ask About Ireland also features Griffith’s Valuation, the first valuation of property in Ireland, published from 1847 to 1864. You are able to search the Valuation, and of course the more information you have, the better. Returning to the Local Studies Department, we find an extensive collection of newspapers, cemetery records, photographs, maps, local files, and folklore. All are available to view by appointment. Bridget told me that the microfilm machine is a much sought-after appliance, so set your appointment early to ensure you will have access to the newspapers and records available on microfilm. I am definitely looking forward to my visit to Portlaoise and the Laois County archives and local studies department. Can’t wait to see what I can dig up! Categories: Archives | Tags: America, Ballyedmond, County Council, emigration, Griffith's Valuation, Ireland, Laois, Local Studies, McCormack | Permalink. Fast-forward twenty years and I am closer to home, driving the country roads of Tara Township, crisscrossing its thirty-six square miles in Swift County, Minnesota. My maternal great-great-grandparents were among the pioneer 1870s settlers of this township on the vast prairie of Western Minnesota. This was my first visit to Tara. 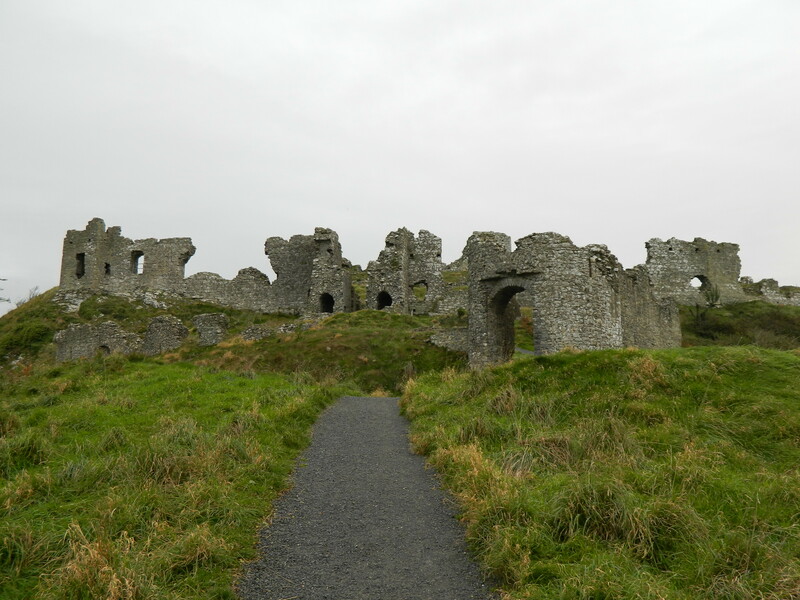 I had traveled three thousand miles from home on a number of occasions to visit Ireland, my “ancestral homeland”, yet I had never bothered to drive a few hours west to see where my people settled when they came to Minnesota. Granted, as far as vacation destinations are concerned, Ireland is a bit more attractive than Western Minnesota, but it turns out, the two places have some things in common. There are the obvious similarities in place names in this part of Minnesota. Bishop John Ireland established several colonies of Irish Catholic settlers with names like Avoca, Kildare, Tara, and Clontarf. Hundreds of Irish families from cities and communities in the Eastern United States seized the opportunity to own land and live in a community with its own church and priest, surrounded by fellow Irish Catholics. The Depression came early to rural communities and persistent crop failures and changing farming practices combined to make farming unviable for most small farmers. My relatives moved to Minneapolis, as did several other Tara families. Some of the original Irish settlers had left Tara even earlier, moving further West, always in search of better land. So, I wonder why I was surprised to find this in Tara Township? On nearly every section of land in the township stands an abandoned farmhouse, or at least a grove of trees planted by the original settlers to protect a house. And this in the “good ol’ USA” where we tear things down! 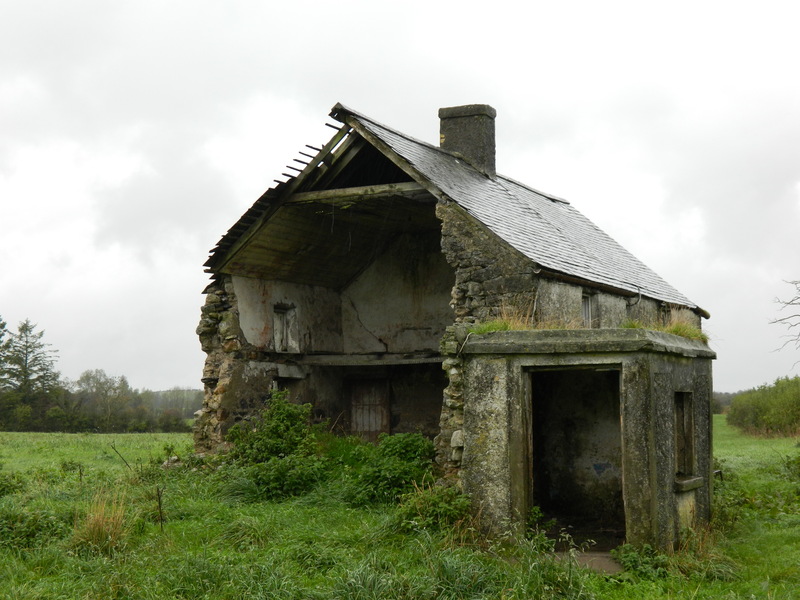 Folks in Ireland and Tara Township have the same reaction when I ask them why they don’t simply tear down the abandoned houses. They shrug and say that they are no bother and they can be used for storage. That is the practical response, but I wonder if there is something a bit more sentimental lurking beneath? 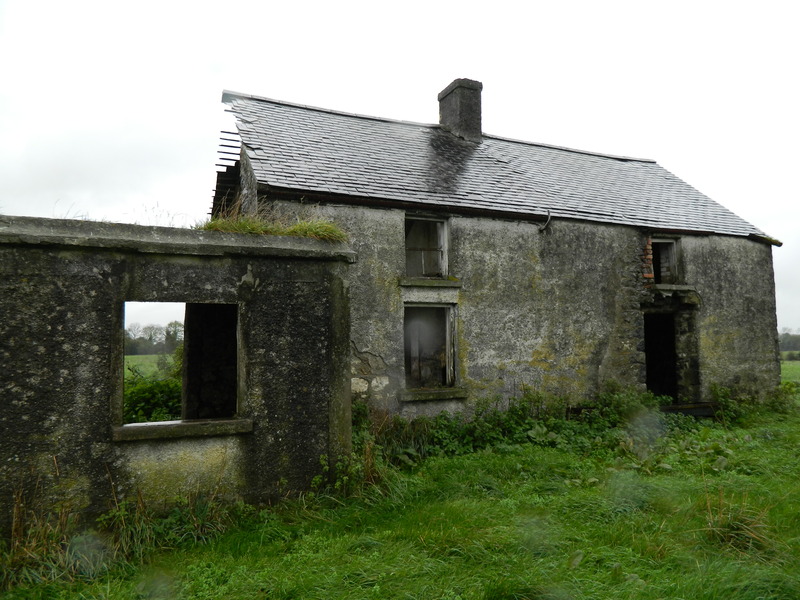 The abandoned houses got me thinking…A similar hopelessness that drove millions of Irish to America during the 19th and 20th centuries could be seen in rural Americans who fled the farm for the city in the 1920s. Major difference, of course, is there was not a famine like Ireland experienced, however there was tremendous poverty, crops failed miserably, families were split up, and life changed permanently and dramatically. are still here today. I doubt that the farmhouse ruins will have the staying power of the castles and abbeys of centuries gone by, but in the meantime they can remind us from where we came. 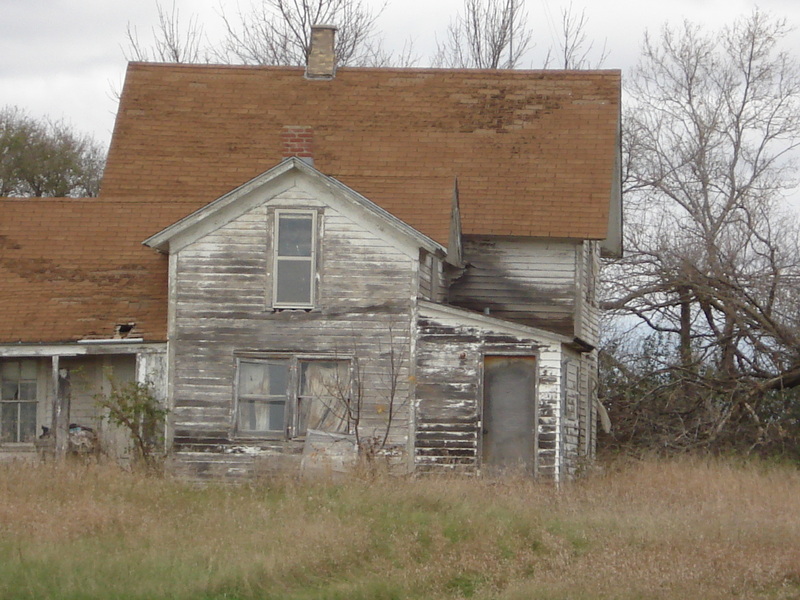 Whether it is a farmhouse in Ireland or Tara Township, Minnesota. Categories: Emigrants, Where they went | Tags: America, Ballyedmond, emigration, family, Foley, Laois, McCormack, McMahon, New Hampshire, Regan | Permalink. “You know, Jim, my brother Paddy met you before. It was in the early Seventies at Nellie Marrin’s home in Minneapolis,” Michael Kelly told my dad one afternoon last month shortly after we arrived in Ireland. “I don’t think so…he must have me confused with someone else…I really don’t remember that at all,” my dad replied shaking his head. Regardless of whether Paddy met my dad, I was curious how Paddy Kelly found himself at my grand-aunt Nellie McCormack Marrin’s house in South Minneapolis. I had heard my dad mention the Kelly name when he referenced his genealogy work in recent years, but this was the first time I had met a Kelly. Paddy and Michael’s mother, Katie Loughman Kelly, was a first cousin of my grandfather Bill McCormack and his sister Nellie McCormack Marrin. This makes my dad, Paddy and Michael second cousins. Michael shared a number of entertaining stories with us that afternoon. Over the years, he collected stories from his mother Katie, and passed her memories on to us with keen understanding and insight. Katie considered her American cousins Nellie and Bill “kindred spirits” and enjoyed a life-long correspondence with Nellie. Katie never met Nellie in person, but Bill visited Ireland in 1934-35 and the two of them became good friends. Michael invited us to dinner the following Sunday. We had a great time at their lovely home. Michael’s wife Moira is known for her culinary and hosting skills and the entire Kelly family was delightful. Paddy Kelly stopped by and after introductions were made, Michael mentioned to Paddy that my dad didn’t remember meeting him. 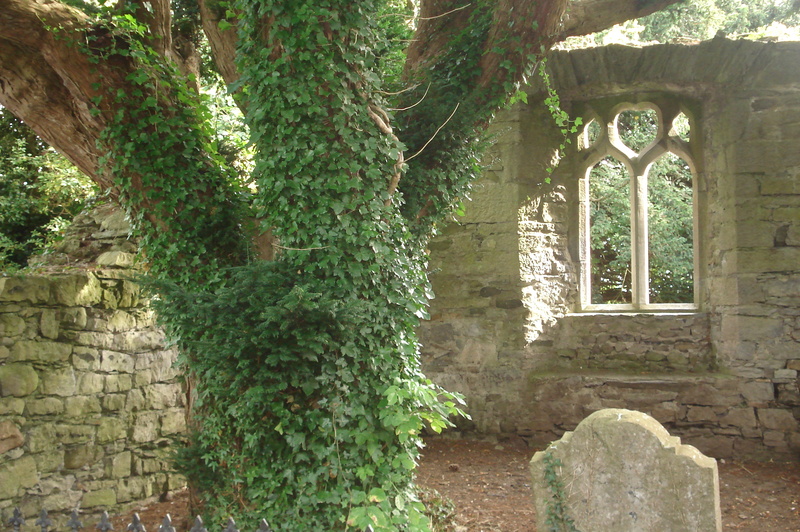 Paddy stood his ground – indeed they had met – and he went on to tell us how Nellie sat in her rocking chair, closed her eyes and recounted the name of every family on the road from Ballyedmond (County Laois, where her father’s home) to Rathdowney. This was truly a stroll down her father’s memory lane – the families Nellie listed were her father Andy McCormack’s neighbors before leaving for America. Nellie must have heard her father’s litany often enough for her to commit it to her own memory. Paddy turned to my sister, mom, and me and said that he also met the three of us that day at Nellie’s. 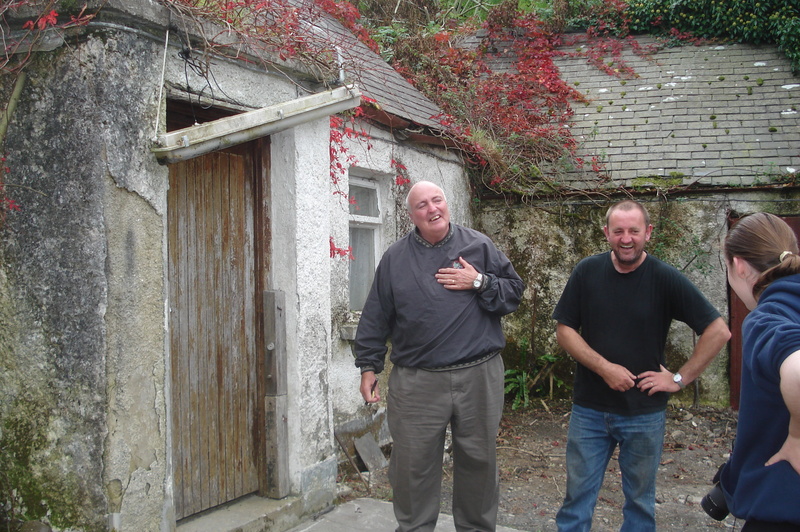 Sure enough…the four of us posed for a photograph for an Irish cousin (I am the camera-shy one on the right!) We had all met a Kelly before. I don’t blame my dad for not remembering. After all he was twenty-seven-years-old, busy with his young family and his life. So often people lament not talking to older relatives about family history or not asking more questions when they were young and there were people still around who could answer them. I say don’t be so hard on yourselves! As young people, most of us don’t care that much about what old people have to say, and sometimes the old people don’t want to talk anyway. The photograph Paddy produced reminded me of the dozens of old, unidentified photos in my family collection. I think I will begin labelling them all as “cousins” of whichever relative they most closely resemble! 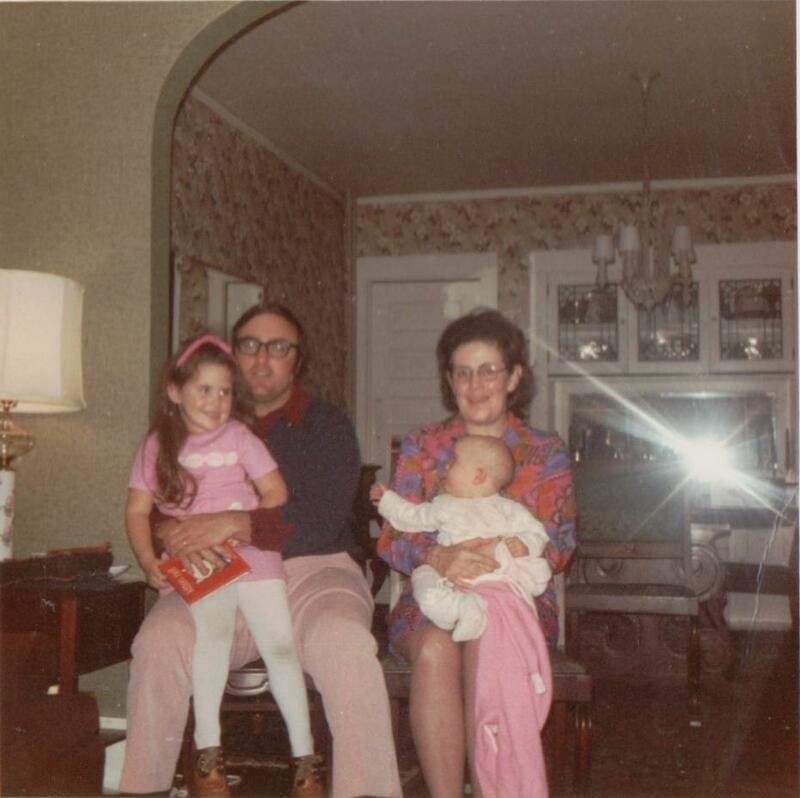 Next time I will take a look at the other side of the family history obstacle – when no one wants to talk about it. 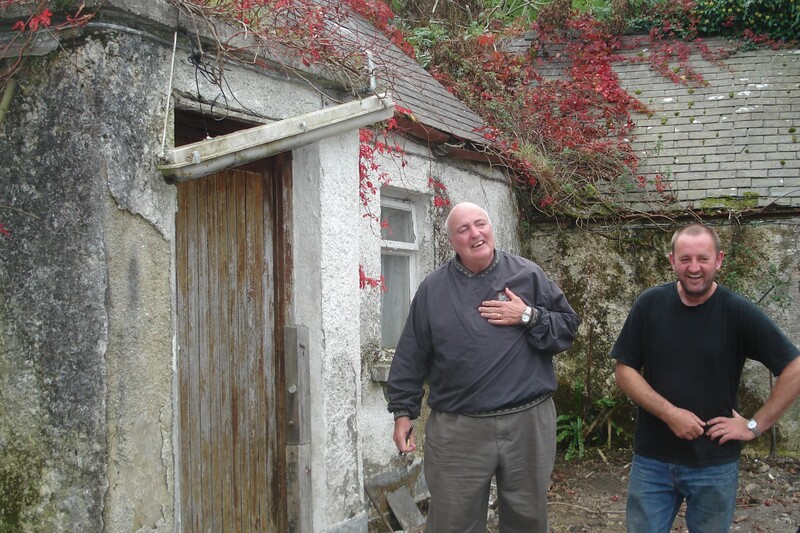 When we were in Ireland I finally learned a few things about my grandfather. Categories: A Visit Home | Tags: America, Ballyedmond, Kelly, Laois, Marrin, McCormack, photographs, Rathdowney | Permalink.